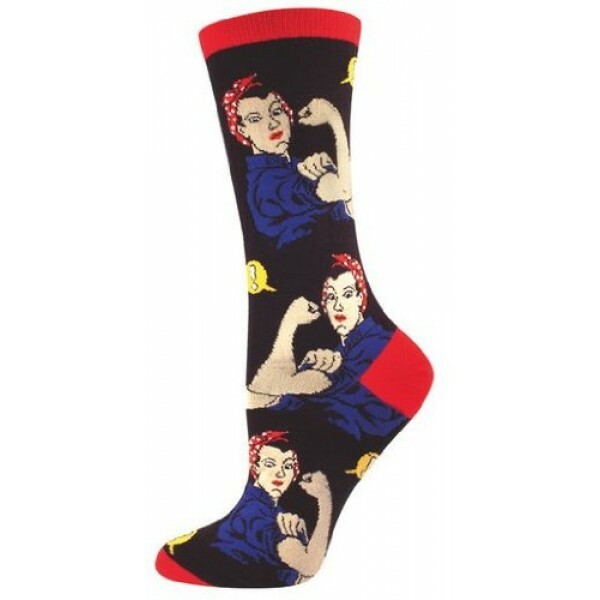 Show off your love of feminist icon Rosie the Riveter with these great crew socks from Socksmith! 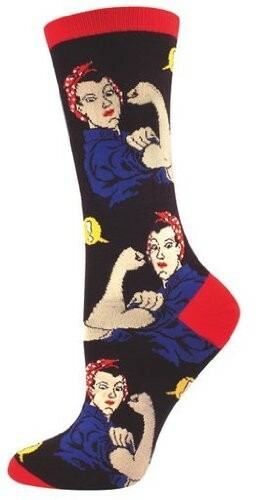 These 63% cotton, 34% nylon, 3% spandex socks are one size fit approximately women's shoe sizes 9 to 11. 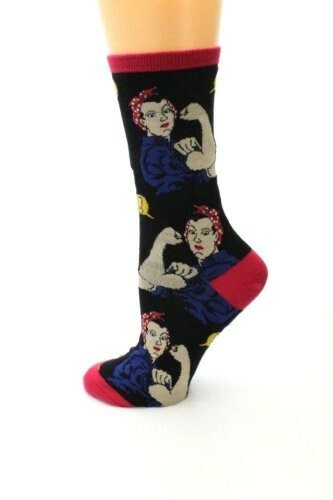 For more empowering clothing options, visit our Clothing section.